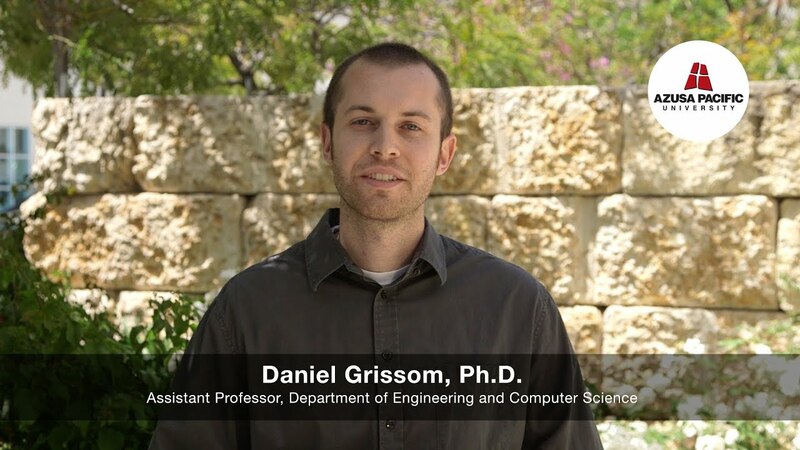 Daniel Grissom, Ph.D., was born and raised in Ohio where he received his bachelor's degree in computer engineering. He later moved to Riverside where he earned his M.S. and Ph.D. from the University of California, Riverside. Grissom has held a wide variety of industry positions including stints at the Air Force Research Lab (Jet Propulsion), Northrop Grumman, Advanced Micro Devices (AMD), Tellus Web, and Environmental Systems Research Institute (ESRI). Grissom is passionate about using his technical skills to make a positive social impact on the world, and inspire others to do so as well. He has focused his academic career in the research and development of digital microfluidic biochips, a technology that automates and miniaturizes biochemistry. When microfluidic technologies mature, they promise to bring affordable clinical diagnostics to the third-world. Grissom’s work earned him a prestigious National Science Foundation (NSF) Graduate Research Fellowship Program (GRFP) fellowship and he has published a number of papers and journals about digital microfluidics in top international conferences. In his free time, he and his wife run a small one-for-one apparel business, which helps clothe and support orphans and young girls who have been freed from human trafficking.